Kitchen, Laundary, and BBQ appliances. We have the best prices in Orange County so there's no reason to stress when we are on the job. We service refrigerators, freezers, ice makers, dishwashers, ovens, cooktops, range hoods, microwaves, washer, dryers, furnaces, and barbecues. 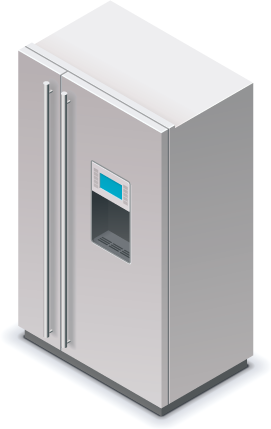 Problems with refrigerators typically involve a failure to adequately regulate the internal temperature and keep your food cool enough. However, there are many other problems that can occur with refrigerators. Maybe your problem is that your refrigerator is too cold, or it stops and starts frequently for no apparent reason. Or, it could be that your refrigerator runs continuously, making loud or strange noises. Water collecting either inside or outside of the refrigerator is another problem that needs attention. A particularly disturbing problem with refrigerators is when, all of a sudden, there is a terribly unpleasant odor issuing from your refrigerator which permeates your food with a loathsome smell. When your refrigerator isn’t working properly, in many cases the thermostat may need to be adjusted, repaired, or replaced. At times, the water valve may need to be repaired. Or the motor or compressor may need to be fixed. Because your refrigerator is constantly turned on, constantly plugged in, and constantly providing a cold environment for your fresh and frozen foods, it may at times breakdown or necessitate maintenance work. Freezer problems are a complicated matter and include the following: the freezer is not cold, or not as cold as it should be, the freezer light is out, the freezer runs constantly without turning off or is too noisy, the freezer fan does not work, there is water either inside or outside of the freezer, there is an unpleasant odor inside the freezer, or the freezer does not defrost automatically. All of these problems lead to problems with your food or your ice. 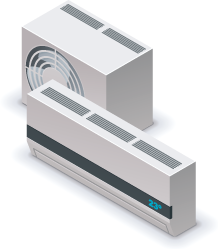 Depending on the problem, it could be due to a malfunctioning compressor, a irregular or insufficient outlet voltage, or dirty condenser coils. There are many other problems you may have with your freezer, but don’t fret because we can diagnose the cause and solve the problem. The most common problem with an ice maker is when it simply won’t make ice. Although it seems like making ice with a machine would be as easy and uncomplicated a process as is making ice manually, in truth, automatic ice makers have many interlocking parts that must all work together smoothly and harmoniously for ice to come sliding out of the refrigerator. Other than failure to make ice, other problems with ice makers may be that the cubes are too small, the ice is wet, or there is a water leakage in or around the ice maker. These problems could be due to a malfunction in the water valve, a problem with the freezer thermostat or the freezer does not remain cold enough. Also, the freezer may be working fine but there is a problem with the ejector gear or motor mechanisms which dispense the ice. Dishwasher problems can run the gamut from not cleaning dishes adequately to not even turning on at all. When your dishwasher is not doing the job of cleaning your dishes properly, there may be problems with drainage inside the dishwasher or a lack of water pressure during the wash or rinse cycles. Other problems may include a breakage or disruption in the water connection inside your dishwasher—without water your dishes won’t get clean at all—or you may have a water leak. 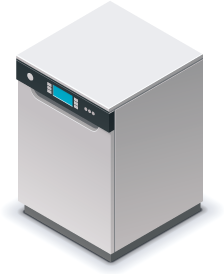 A good sign that there is something wrong with your dishwasher is when it makes loud unfamiliar noises or the dishwasher motor does not run at all. Maybe the dishwasher door will not open or close fully. Lastly, problems with the timer and electronic touch pad are also both common situations with a broken dishwasher. Like cooktops, conventional ovens also come in two varieties: gas and electric. Common problems with both kinds of ovens include failure to heat and failure to differentiate between the bake and broil functions. However, because the apparatus in gas ovens is different from that in electric ovens, the diagnosis and method of repair will be different for each. 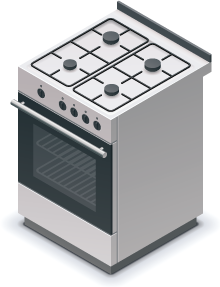 With electric ovens the heating element may need repair, and with gas ovens the supply and ignition of gas will need to be addressed. When your oven does not heat sufficiently, or heats unevenly, the door gasket may need repair or replacement. Or the problem with an oven that heats poorly may be a clogged burner. After a few years of use, your oven may also need to have the thermostat recalibrated so that the temperature remains steady. Self-cleaning ovens may lose their capacity to self-clean, necessitating a maintenance visit. Other common problems with ovens include malfunctions with the fan, the clock display , the touch panel, selector switch, and electronic touch pad. Cooktops come in two varieties: gas and electric. 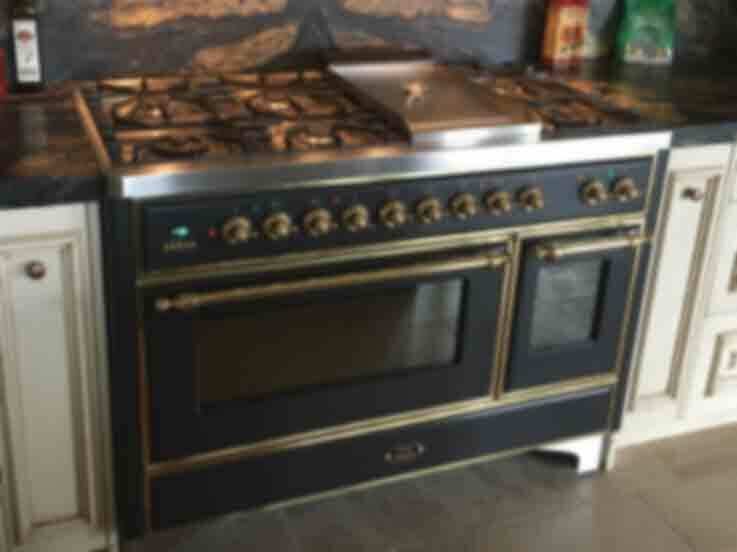 Problems with your gas cooktop can include a lack of spark to ignite the flame, a leaky gas connection, lack of gas pressure, no burner flame, or the burner won’t turn on. All of these problems can be fixed through repairing the gas valve or spark igniter. Sometimes they may need to be replaced. Problems with your electric cooktop may include a lack of power, a broken or malfunctioning heating element, a damaged glass top, the burner switch or light does not turn on, or problems with the electronic touch pad. TRange hoods provide a vital function for stovetop cooking, and it is important that they remain in good working order. When range hoods fail to function properly they may need to have the exhaust system unclogged. With a little guidance, this is a process that you could accomplish on your own or one that we could do for you. Another cause of problems with range hoods may be a malfunctioning or broken fan motor. If your range hood fan is making loud or unusual noises, or is running very slow, there is a problem with the fan motor. 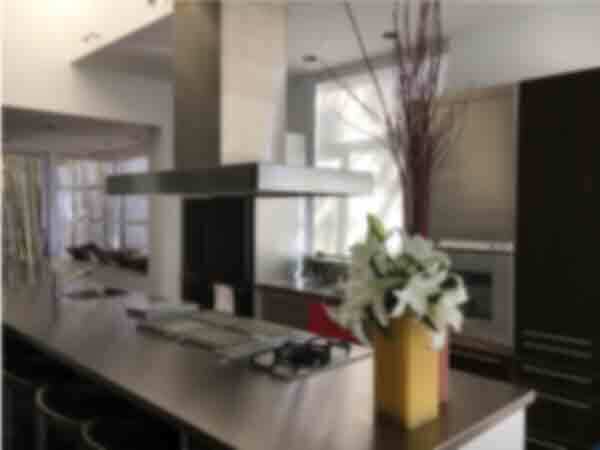 In some cases, we can switch the speed of the motor to make it work properly for you, and in some case we will have to replace the fan motor to restore the range hood to full functioning. In order to keep your range hood working smoothly, we recommend that you clean the grease filter on a monthly basis. You may also want to wipe down the blades of the fan itself, but make sure not to get any water in the fan motor, because this could cause significant damage to it. Microwaves use high voltages so problems involving the electrical components are most safely addressed by an in-home technician service. 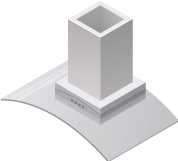 Some of the more difficult problems with microwaves include internal sparking or loud strange noises produced during the heating of food or drink. Symptoms of electrical malfunctioning also include the microwave’s failure to heat or a freezing of the exterior touch panel. We also fix non-electrical problems with microwaves, such as malfunctioning in the door, handle, or interior plate. Washers are built with many interlocking parts that all must function in coordination together. When one of the parts fails to do its job, the entire process of the washing machine is affected. A lid switch, filter screen, water inlet valve, and motor are just a few of the integral parts that must work properly for your washer to function. 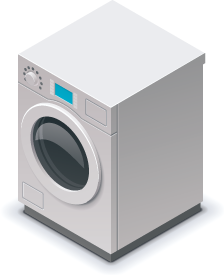 A common problem experienced with washers is that the spin cycle does not work, and the water will not drain from the machine. In this case, you could have a bad water pump or a clogged drain. Either way, your clothes will be soaking wet until you get the problem fixed. Another common problem with washers is that they get too noisy or have an unbalanced spin cycle. If this happens, make sure the washer is on level ground; however, the problem could also be with the transmission, motor bearings, or drive belt. Many other problems can occur with your washer, such as water leaks from the machine, the timer does not work, or the door won’t open or close fully. Because washers are complex mechanical creatures, it is recommended to have a yearly maintenance inspection to make sure your washer is in good working order. Dryer problems can include anything from your machine making loud squeaking noises to not turning on at all. If your clothes are still wet after the usual time it takes to dry them, or if your clothes have a burned smell on them after drying, then there is probably a problem with the heating apparatus inside your dryer. Either too much or not enough heat are both problems that can be fixed. 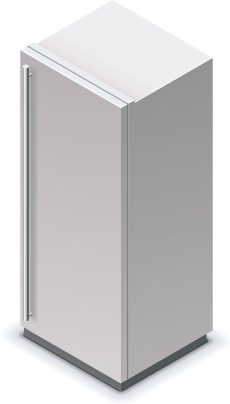 The most common problem people experience is their gas furnace doesn’t ignite or adequately heat their house. 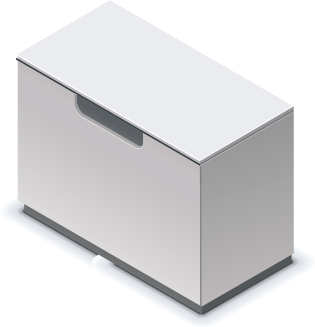 However, other common problems include the following: the thermostat does not work properly, the vents are clogged or the filter may be old or dirty which prevents the unit from functioning optimally, the breakers or service switches may need to be readjusted, the wiring may be damaged or in need of repair. Any of these problems will lead to an unsatisfactory temperature in your home. We recommend scheduling a yearly inspection for your gas furnace to prevent problems from occurring. 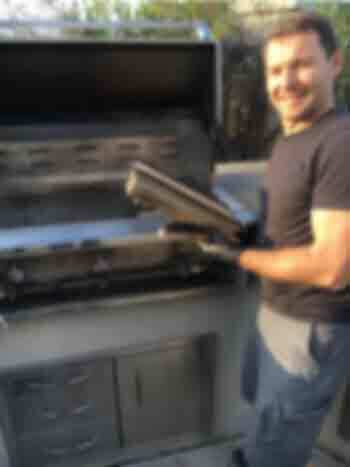 The barbecue is ignited with a gas grill burner that becomes dirty with use and should be cleaned a few times a year. To do this yourself, simply remove the burner from the grill unit and brush it thoroughly to clean out all the grease and detritus. Make sure you unclog the gas holes with a small pointed object like a toothpick so that they convey good gas pressure and promote an ample flame for your barbecue. 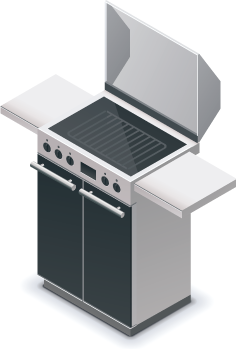 For more serious problems with your gas grill burner, including low gas pressure, we can service your gas grill and repair or replace your gas valve. Another common problem with gas grill barbecues occurs when the barbecue igniter won’t spark. While this is a completely repairable problem, we’d rather not advise you on how to repair this yourself as it can get tricky and dangerous. All makes and all models. 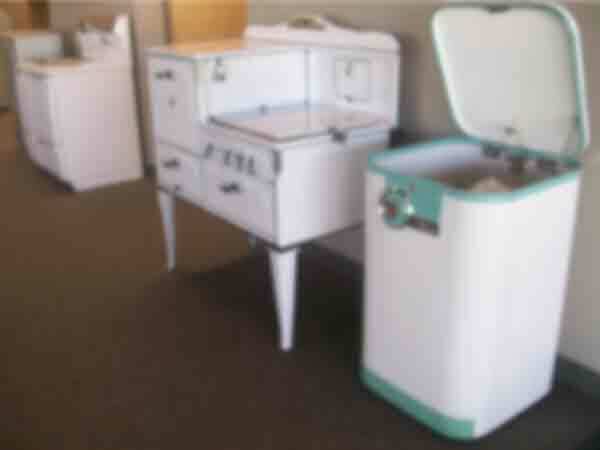 We service High End, Modern, Antique, Vintage, and Classic Appliances. In fact, other appliance service companies call us when they need a specialist. Whatever it takes, we have the tools, the parts, and the technical experience. 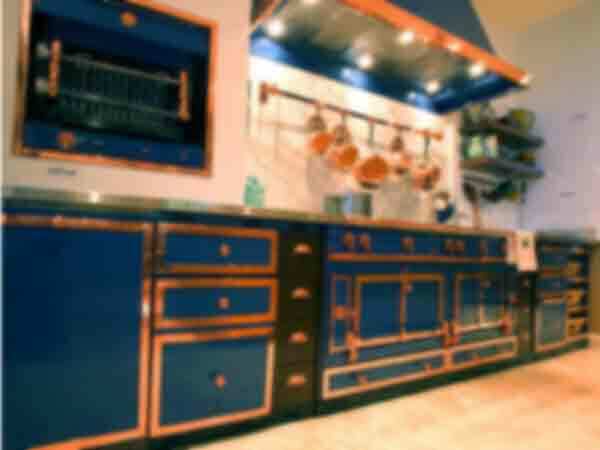 Like our company name suggests, High End Appliance Service specializes in top of the line appliance repair. We’re completely equipped with all the necessary parts to send a factory trained technician to your home and provide the service that your high end appliance needs. 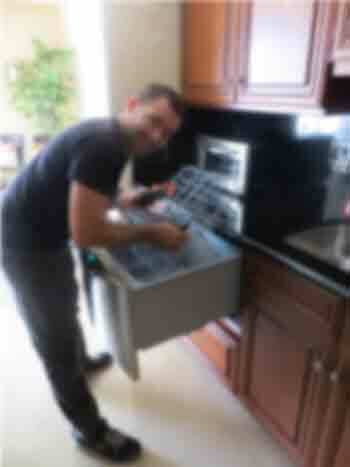 High End Appliance Services doesn’t just repair the most expensive brand name appliances, we repair them all. In order to provide you with the fastest service possible, we offer a phone consultation to diagnose your appliance problem before sending a factory trained technician to your home. Our ability to fix a wide array of vintage appliances is a feature that makes High End Appliance Services stand out from the crowd. We offer an appliance repair service to those rare and special brands that make your home unique. 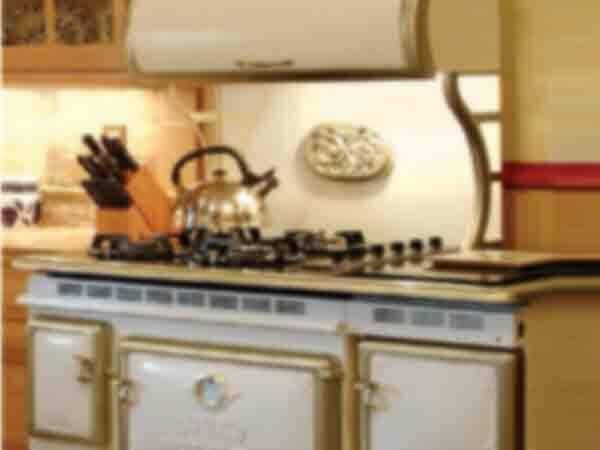 If your vintage appliances have been around for 50 years or so, they will benefit enormously from an adjustment service which keeps the individual parts functioning well by providing a thorough cleaning of your appliance. Our best service is customer service. We provide repair services, maintenance services, installation services. Most importantly we strive to provide the best cusomter service. We know how frustrating it is when something like your dryer, furnace, or stovetop breaks down, so it’s good to know you have someone to turn to when you need help. We will send a state-licensed professional to your home as soon as possible and provide you with a hassle-free estimate, which is free if we do the service. In order to keep your appliances in good working order, it is advisable to have a general upkeep maintenance from time to time. We suggest a yearly inspection to prevent breakdowns. Just like taking your car into the shop for a tune-up, we will gladly provide a maintenance service to keep your appliances clean and working well. If you need help installing a newly purchased appliance or you need help setting up after moving, we are here to help. 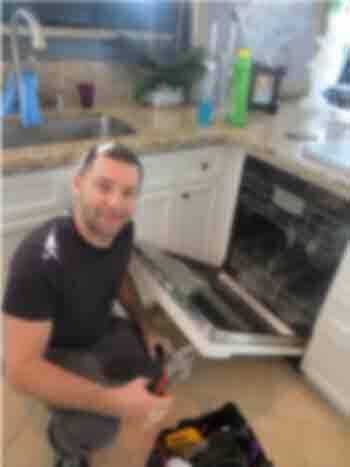 Most appliance installations are simple but it can lead to major problems down the line if it is not done right. If you don’t want to take the do-it-yourself risk or just don’t have the time, please give us a call. Serving Orange County since 2001. We have been serving all of Orange County since 2001. 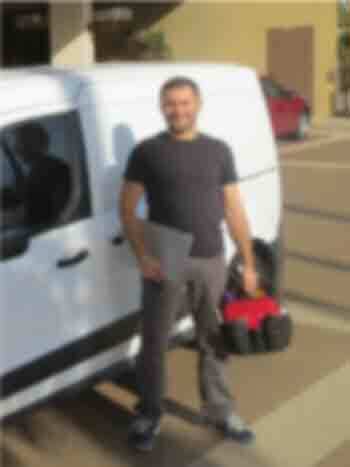 We even have loyal customers that have moved outside of Orange County that still call us for service. That is the kind of relationship we want to build with all our new customers. 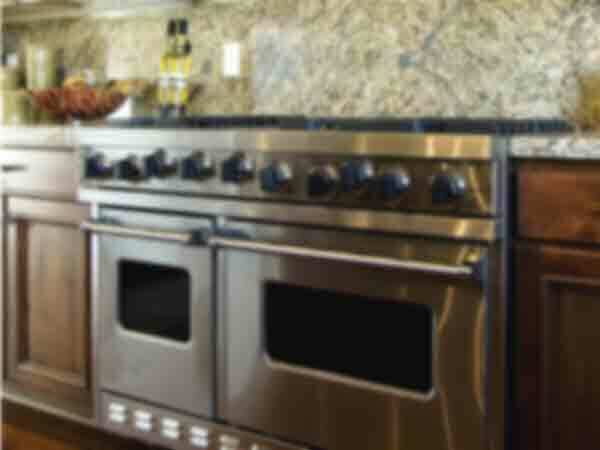 High End Appliance Service is your best solution for appliance service in Orange County. We like to think that we are more that just that, we're about being there when you need us. Discounts. We offer 25% off labor for new customers, 30% off labor for seniors, and 35% off labor for veterans. Price. We have built a large base of loyal customers over the last 15 years so we are able to charge less by doing more jobs. If money is a issue, don’t worry, we’ll work with you to figure out a method of payment you can afford. We service high end appliances but we don’t charge high end prices. We will beat any written estimate from any other appliance repair company. Estimates. Since we take the time to drive to your location to figure out the exact problem with your appliance, we charge a small fee for an estimate. Don't worry, this estimate fee is waived if we do the service. Licensed. All our technicians are state licensed so they have the highest levels of skill and competence to service your appliances. Parts. Our service is only as good as the parts we use. That's why we always use factory certified parts and never low quality imitations. Warranty. Our appliance service warranty policy includes a 90 day warranty on all labor, and from 90 days to 5 years warranty on your new appliance parts, depending on the brand. Please consult your technician to determine the exact warranty period on the parts for your appliance. Commitment. We’re completely committed to providing you with impeccable appliance service and customer service. We strive continually to make sure you are happy with all aspects of our service so we can be your go-to appliance service company and you will recommend us online and to your friends. Customers. Our customers never have to stress about their appliances again, that is why we get so many high ratings on Yelp.